Well, this is interesting: according to Auto News, BMW wants to share its electric-car technology with other automakers. Why is that interesting? Because Tesla Motors did something very similar last month. 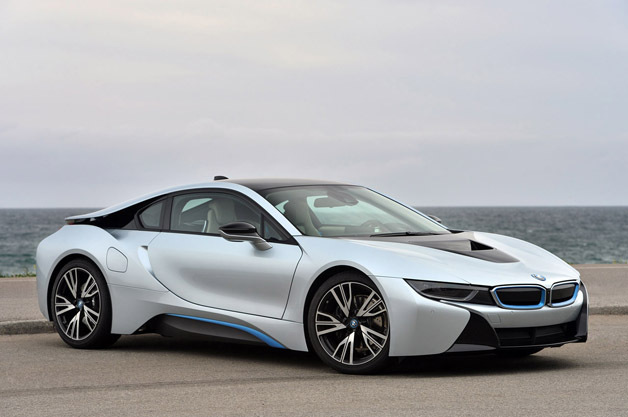 Was BMW inspired by Tesla CEO Elon Musk's (nominally) altruistic act? Or is BMW trying to play catch up by making its technology the standard in the electric car industry? BMW's offer specifically relates to the technology underlying lithium-ion batteries that the automaker co-developed with Samsung SDI. BMW says that it would be "happy to find a way" to put those batteries in competitors' vehicles. That's not quite as unselfish as it sounds. Batteries are very expensive to develop and produce, gobbling up years of research and millions of dollars of materials. They are, without a doubt, the most costly single part of any electric vehicle. When Elon Musk made his surprising announcement in June, BMW was the first automaker to take him up on his offer. According to numerous reports, BMW is very interested in using Tesla's quick-charging technology. Did that conversation spark BMW's interest in sharing its battery technology? Maybe, though the two offers are somewhat different. By open-sourcing Tesla's patented technology, Musk and Tesla essentially lose their ability to raise money from licensing that technology. The company's financial gain comes in the long term, by having its standards become universal and by having other automakers expand Tesla's network of superchargers, making electric cars like Tesla's more attractive to consumers. BMW's offer, on the other hand, seems entirely limited to battery packs -- and it hasn't offered to open-source them, either. The company is simply willing to let other automakers use the batteries that it's spent so much time, effort, and money to develop. Will BMW earn revenue from licensing that technology? It's not entirely clear (though Samsung SDI will surely get paid). BMW's big win comes from boosting Samsung's production and making batteries cheaper so that it can price cars more competitively. The line between selflessness and selfishness can be pretty gray sometimes.